In 1853 the United States negotiated the “Gadsden Purchase”settlement of a boundary dispute with Mexico that resulted in the U.S. acquiring what would become the southern portions of Arizona and New Mexico for ten million dollars. The following year Commodore Matthew Perry embarked upon his famed expedition to re-open Japan to the Western world and establish trade. Spreading beyond its borders in many ways, a few years earlier the United States had joined the worldwide move to uniform postage rates and printed stamps when the Congressional Act of March 3, 1845 authorized the first U.S. postage stamps, and set the local prepaid letter rate at five cents. This set the stage for a close connection between postal and coinage history. Longacre’s reverse depicted a wreath of tobacco, wheat, corn and cotton with a plant at top bearing two conical seed masses. The original wax models of this wreath still exist on brass discs in a Midwestern collection and show how meticulous Longacre was in preparing his design. Encircled by the wreath is the denomination 3 DOLLARS and the date. There are two boldly different reverse types, the small DOLLARS appearing only in 1854 and the large DOLLARS on coins of 1855-89. 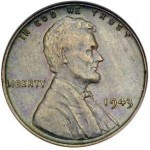 Many dates show bold “outlining” of letters and devices, resembling a double strike but probably the result of excessive forcing of the design punches into the die steel, causing a hint of their sloping “shoulders” to appear as part of the coin’s design. 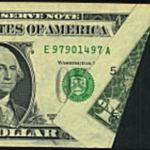 The high points of the obverse design that first show wear are the cheek and hair above the eye; on the reverse, check the bow knot and leaves. A total of just over 535,000 three dollar gold pieces were issued along with 2058 proofs. The first coins struck were the 15 proofs of 1854. Regular coinage began on May 1, and that first year saw 138,618 pieces struck at Philadelphia (no mintmark), 1,120 at Dahlonega (D), and 24,000 at New Orleans (O). These two branch mints would strike coins only in 1854. San Francisco produced the three-dollar denomination in 1855, 1856, and 1857, again in 1860, and apparently one final piece in 1870. Mintmarks are found below the wreath. 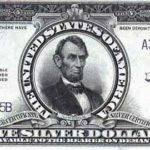 Every U.S. denomination boasts a number of major rarities. The three-dollar gold pieces of 1854-1889 are studded with so many low-mintage dates that the entire series may fairly be called rare. In mint state 1878 is the most common date, followed by the 1879, 1888, 1854 and 1889 issues. Every other date is very rare in high grade, particularly 1858, 1865, 1873 Closed 3 and all the San Francisco issues. Minuscule mintages were the rule in the later years. Proof coins prior to 1859 are extremely rare and more difficult to find than the proof-only issues of 1873 Open 3, 1875 and 1876, but many dates are even rarer in the higher Mint State grades. This is because at least some proofs were saved by well- heeled collectors while few lower-budget collectors showed any interest in higher-grade business strikes of later-date gold. Counterfeits are known for many dates; any suspicious piece should be authenticated. 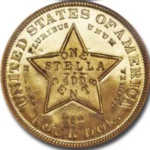 The rarest three dollar gold piece of all is the unique 1870-S, of which only one example was struck for inclusion in the new Mint’s cornerstone. Either the coin escaped, or a second was struck as a pocket piece for San Francisco Mint Coiner J.B. Harmstead. 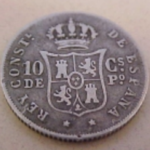 In any event, one coin showing traces of jewelry use surfaced in the numismatic market in 1907. It was sold to prominent collector William H. Woodin, and when Thomas L. Elder sold the Woodin collection in 1911, the coin went to Baltimore’s Waldo C. Newcomer. Later owned by Virgil Brand, it was next sold by Ted and Carl Brandts of Ohio’s Celina Coin Co. and Stack’s of New York to Louis C. Eliasberg in 1946 for $11,500. In Bowers and Merena’s October 1982 sale of the U.S. Gold Collection, this famous coin sold for a record $687,500. 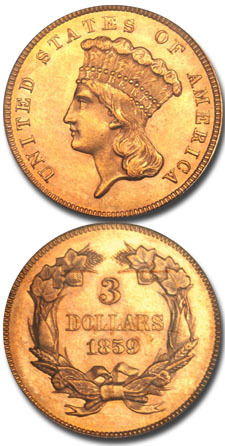 The three-dollar denomination quietly expired in 1889 along with the gold dollar and nickel three-cent piece. America’s coinage was certainly more prosaic without this odd denomination gold piece, but its future popularity with collectors would vastly outstrip the lukewarm public reception it enjoyed during its circulating life. Why do some U.S. coins have no mint marks?